It is important to understand that most geoprocessing tools typically generate new data as an output that can then be used as input for subsequent tools. 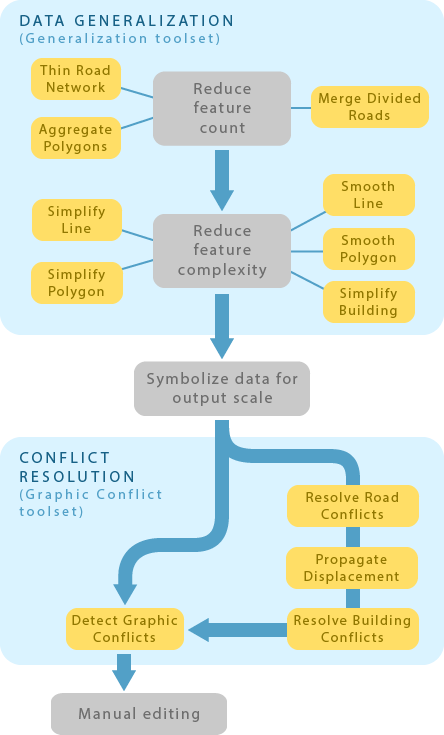 In contrast to this, cartographers typically follow a workflow that is characterized by incremental improvement of feature layers already established in a map document. 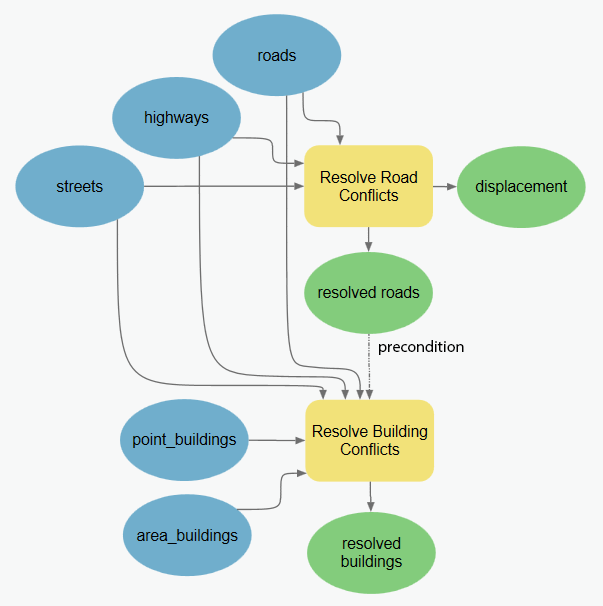 Symbology, layer properties, and masking relationships are already defined, so it follows that it is preferable to modify input layers as conflict resolution and generalization operations are performed so as not to lose this information. For this reason, some of the tools in the Cartography toolbox modify input data in symbolized layers rather than creating data. # dashed line symbols is then applied. # when setting control points. # applied from an existing feature layer. 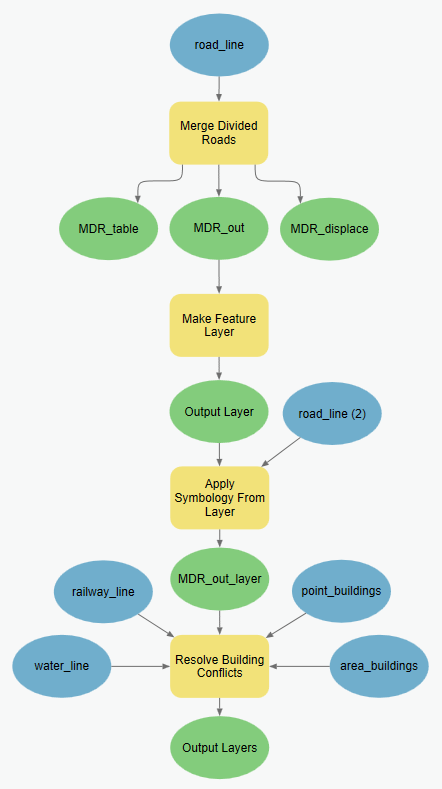 # A feature layer is created from the simplified rail features. # layer is created from the output of the MergeDivvidedRoads tool. 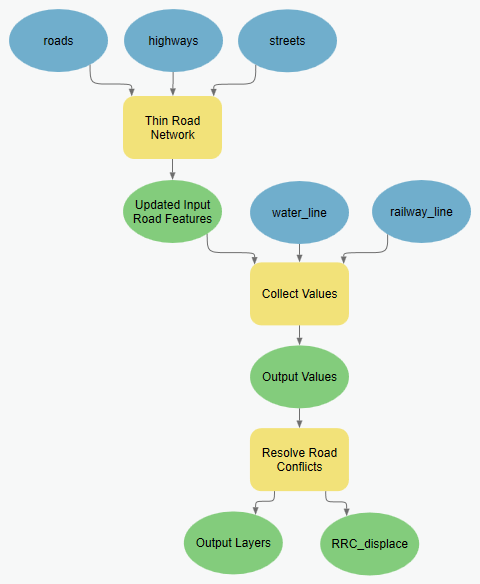 # new railway feature layer. 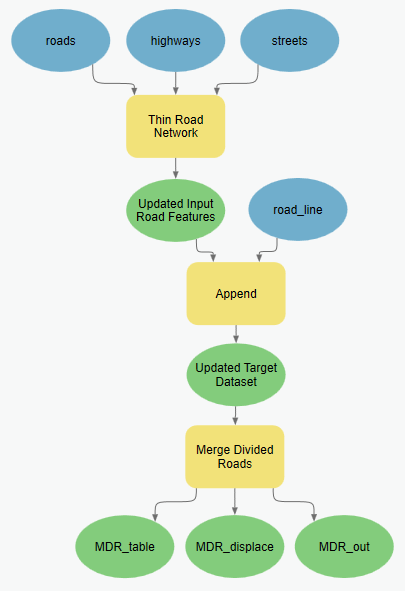 # symbology can the be applied to the new roads feature layer. # The Align Markers To Stroke Or Fill tool can do this with symbolized features. # Symbology is applied from an existing layer. # Pre-made symbology is applied from an existing layer.